The Cleveland Browns travel to Paul Brown Stadium to take on the Cincinnati Bengals on Sunday, November 26, 2017. The opening line for this game has Cincinnati as 8 point favorites. The over/under has been set at 38. The Browns have an ATS record of 2-8-0 while their over/under record is 4-6-0. 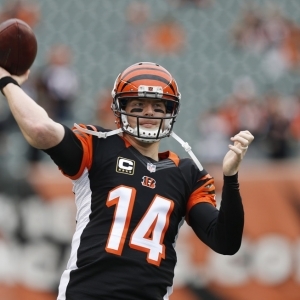 The Bengals have an over/under record of 4-6-0 and they are 5-5-0 against the spread. The Cleveland Browns are 32nd in the NFL in points scored with 150. They have run 649 plays this season for 3,007 yards, which ranks them 29th in the league in total offense. The Browns average 4.6 yards per play, which is 31st in the National Football League. As a team they have accumulated a total of 191 1st downs this year, placing them 19th overall as an offensive unit. On the ground Cleveland has run for 1,012 yards as a team, which ranks 23rd in the NFL. They've run 238 times, averaging 4.3 yards per carry as a rushing unit. The Browns have been penalized on offense 70 times for 614 yards so far this season, which has them 12th in the league in penalties. DeShone Kizer has thrown for 1,555 yards this season. He has completed 148 passes on 282 attempts for a completion percentage of 52.5%. His quarterback rating is 54. He averages 5.5 yards per pass attempt and 10.5 yards per completion. Cleveland is 27th in the league in points allowed on defense with 259. They have surrendered a total of 3,137 yards on D, which is 8th in the NFL. The Browns are ranked 7th in yards per play allowed with 5. Their pass defense has given up 6.6 net yards per pass attempt, placing them 21st in the league as a unit. Opposing offenses have completed 213 passes on 316 attempts against the Cleveland Browns defense this season, placing them 15th and 2nd in the National Football League. The Cleveland pass defense has also given up a total of 2,220 yards through the air, which is 15th overall in total pass defense. Their rushing defense has allowed 295 attempts for 917 yards this year, putting them in 6th place in the league against the run. The Browns have committed 75 penalties for 692 yards on the defensive side of the ball this season. That ranks them 29th in the NFL. They've given up a score on 33.6% of possessions on defense, which is 14th in the league. Cleveland is ranked 3rd in the league in punt returns with 28. They've accumulated 153 punt return yards and average 5.5 yards per return, which is 27th in the NFL. Their longest punt return so far this year is 25 yards. They have returned 17 kicks for 407 yards on special teams, ranking 16th in kick return yardage. The Browns average 23.9 yards per kick return and have a long of 71 yards this year. They are 27th in the league in all-purpose yards with 3,770. The Cleveland Browns have attempted 12 field goals this season and made 8, which is 32nd in the National Football League. Their kickers have a field goal percentage of 66.7%. Cleveland Browns kickers have made 94% of their extra points, going 16 for 17 this year. Their punters have totaled 2,638 yards on 55 punts, averaging 48 yards per punt. That places them 5th in the NFL in punting average. The Cincinnati Bengals have run for 680 yards as a unit, which ranks 32nd in the league. They've run 228 times, averaging 3 yards per rush as a unit. The Bengals have been penalized on offense 70 times for 599 yards so far this year, which has them 11th in the NFL in penalties. They are 29th in the National Football League in points scored with 169. They have run 551 plays this year for 2,656 yards, which ranks them 32nd in the NFL in total offense. The Bengals average 4.8 yards per play, which is 29th in the league. As a team they have accumulated a total of 153 1st downs this season, ranking them 32nd overall as an offensive unit. Andy Dalton has completed 183 throws while attempting 296 passes for a completion percentage of 61.8%. He has passed for 2,158 yards this year. He averages 11.8 yards per completion and 7.3 yards per pass attempt. His quarterback rating this season is 90.7. The Bengals rush defense has given up 316 attempts for 1,224 yards this season, putting them in 27th place in the NFL against the run. They have had 57 penalties for 483 yards on defense this year. That places them 4th in the league. They've allowed a score on 34.8% of possessions on defense, which is 15th in the NFL. Cincinnati is 10th in the NFL in points surrendered on defense with 199. They have given up a total of 3,230 yards on D, which is 12th in the league. The Bengals are 2nd in yards per play allowed with 4.6. Their pass defense has allowed 5.3 net yards per pass attempt, ranking them 2nd in the National Football League. Opponent offenses have completed 205 throws on 350 attempts against the Cincinnati Bengals defense this season, ranking them 9th and 20th in the league. The Bengals pass defense has also surrendered a total of 2,006 yards in the air, which is 6th overall in total pass defense. The Cincinnati Bengals have tried 10 field goals this season and made 8, which is 31st in the league. Their kickers have a FG percentage of 80.0%. Cincinnati kickers have made 91% of their extra points, going 19 for 21 this season. Their punters have accumulated 2,672 yards on 57 punts, averaging 46.9 yards per punt. That ranks them 10th in the NFL in punting average. Cincinnati is 1st in the NFL in punt returns with 33. They've totaled 318 punt return yards and are averaging 9.6 yards per return, which is 7th in the league. Their longest punt return this season is 40 yards. They have returned 20 kicks for 431 yards on special teams, placing them 12th in kick return yardage. The Bengals average 21.6 yards per kick return and have a long of 41 yards this season. 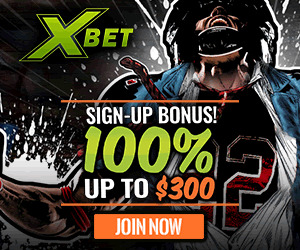 They are 32nd in the National Football League in all-purpose yards with 3,587.
Who will win tonight's Browns/Bengals NFL game against the spread?